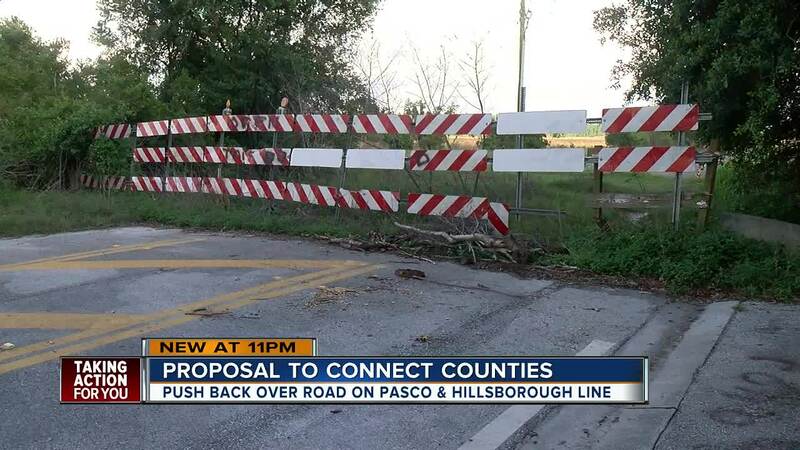 WESLEY CHAPEL, Fla. — More than 400 people living along Mansfield Boulevard in Pasco County signed a petition opposing plans to connect New Tampa and Wesley Chapel. Stephen Smith recently signed the petition because he's worried about increased traffic along the area's school zone. His son will have to walk to Wiregrass Elementary along Mansfield next year. "You're going to have increased accidents, it's just going to be," said Smith. 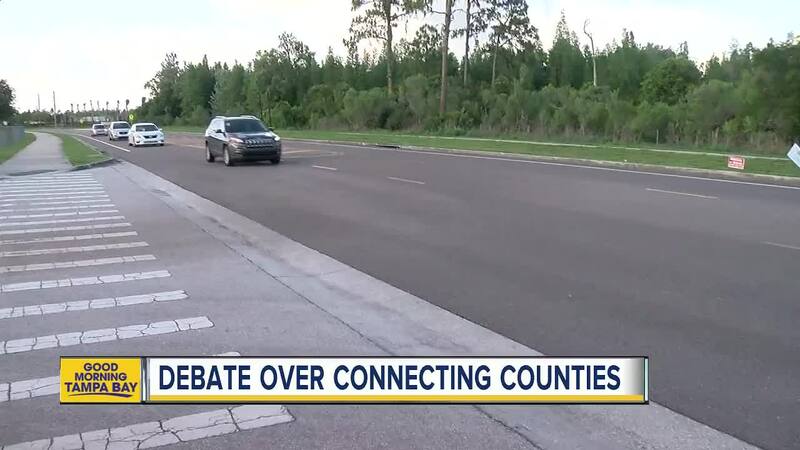 People fighting the Wesley Chapel Roadway Connection Study point to a newly-released report by Pasco County, predicting the connector will result in 7,000 new vehicles passing through a low-speed school zone. "We have a middle school, an elementary school, and a high school all going to school at the same time and with that many vehicles coming through on rush hour, it definitely would create safety issues for the children," said John Picarelli, who lives in the Meadow Pointe II Community Development. Neighbors living in New Tampa south of the unfinished road say the dead end tacks on at least 30 minutes to their commutes into Wesley Chapel. They want faster, more convenient access to Pasco's growing retail and dining, as well as Florida Hospital Wesley Chapel. Supporters believe the connector will alleviate an always busy Bruce B Downs Boulevard. "If they did this, it would definitely ease that traffic problem," said Dan Rameau. Rameau, who lives on the Pasco side, hopes leaders find a solution to the years-old dispute, soon. "It's always about money," said Rameau. "Pasco and Hillsborough just fighting. Who's going to do it and who's not going to pay for it." Neighbors can weigh in on the proposal at 6 p.m. on May 29 at Hernando-Pasco State College, Wesley Chapel room B303.